Good morning! I'm new to this forum so I'm hoping this is in the right place. Yesterday I purchased a used 2017 Focus. It is a very bare bones model which is perfect for my college student. I think its a great little car, I feel like I got way more car than I paid for it. The only negative to the bare bones model is that it has no center armrest. There's basically a cubbyhole where the armrest assembly would be (I attached a pic). I did a google search and it appears that there are some "plug" type of armrests that may fit into that hole, or the alternative is that I replace the entire center console. Just looking to see if anyone has experience with this and if so what the recommended fix is. Thanks in advance! I haven't heard of a plug in armrest for the Model S (which I assume you have), but please post a link. I think it would help other Model S owners. 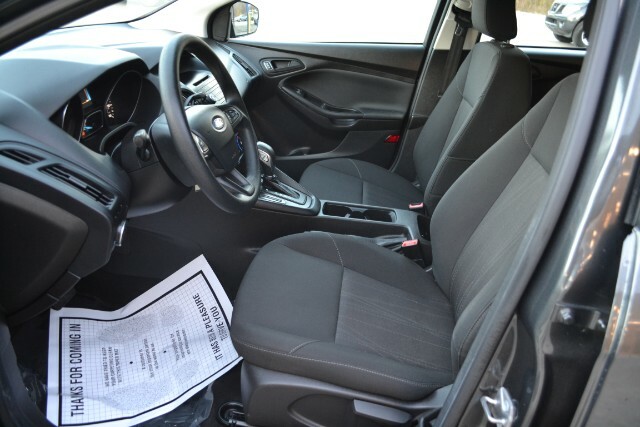 You can, as you said, if you have an afternoon free, go to your local PicknPull, and find a 2015+ SE or SEL Focus and remove the center console and reinstall in your Focus. Unless its already there on the "s" model in the armrest there is a usb port and i would imagine you would have to wire that in. Would the radio automatically recognise it(as it shows up on the media selection, usb2 i think) i dont know. Im guessing the armrest you mentioned just plugs into the cup holders or does it sit in something else there? Thanks for the replies. Here's the link to the "plug" type, although as I'm looking at it, it doesn't look like the contour would match up exactly. Edit: I'm not allowed to post links because I'm a new member but if you go to ebay and search for 252736000630 it will bring you to the listing. This says it fits, but I don't think it does. Are there any diagrams on where the center console is attached? I only found one youtube video and it was an older model. That ebay one seems a bit expensive for what it is, $60 shipped and then you lose your aux/usb access. Last edited by rambleon84; 12-28-2017 at 01:39 PM. Its not all that much if the quality is there, not exactly a small thing being shipped i would imagine. Although, for not much more you could pull one from the scrapyard like you stated and get the factory feel. I didnt know "s" models had the usb/aux jack in the hole there. Bosox, keep us informed on your progress. I'm kinda on a similar journey, but I'm going to attempt to convert my 2017 Focus SE's 4 inch Sync display to a 8 inch Sync 3 display without spending $2000 on a "kit". Also, going to try and upgrade my manual drivers seat to a power seat. The Electronics swaps have threads in MkIII Interior and the Audio & Electronics sections, basically you need to convert the electronics to a different car entirely IF you want all the functions - and KEEP the other car's VIN for updates, since ONLY avail. for one they were installed in by VIN.